Whether you are looking for a blind for a single window or advice on how to revamp your whole home, Town House Interiors can help. We supply fabrics, wallpapers, furniture, lighting and accessories from the leading designers and manufacturers and can advise on how they will work best in your home, whatever your budget. 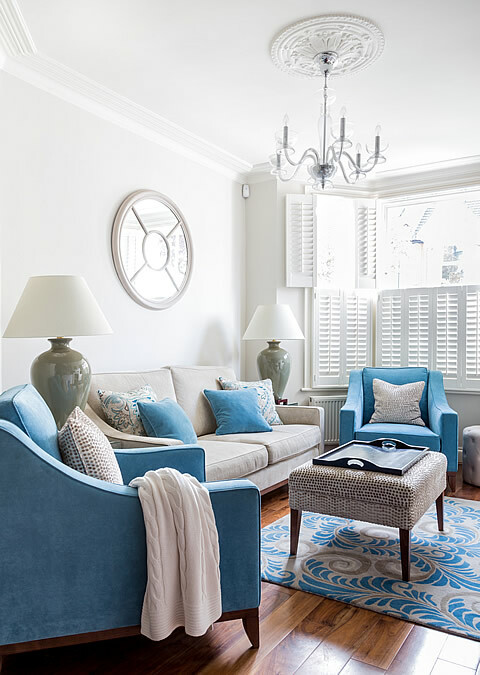 We can handle any project from initial brief right through to installation, including design concepts, curtain making, track fitting and upholstery. All consultations take place in your home, at a time to suit you. Following the initial brief, we work to put together ideas and then at a second meeting we present you with the proposed designs. At this stage we prepare quotations for the project and agree a schedule of work.